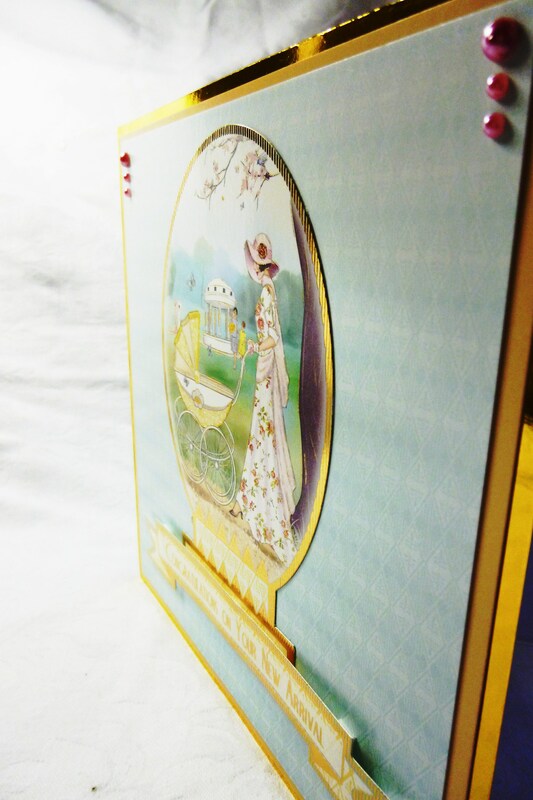 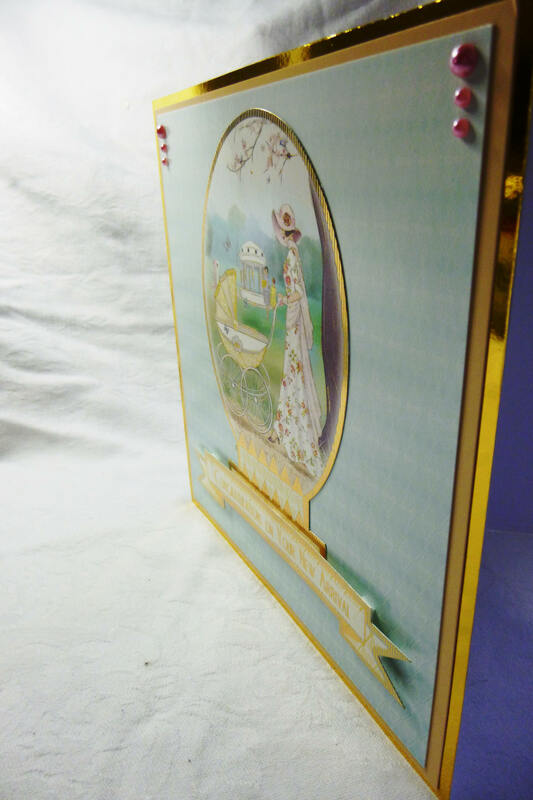 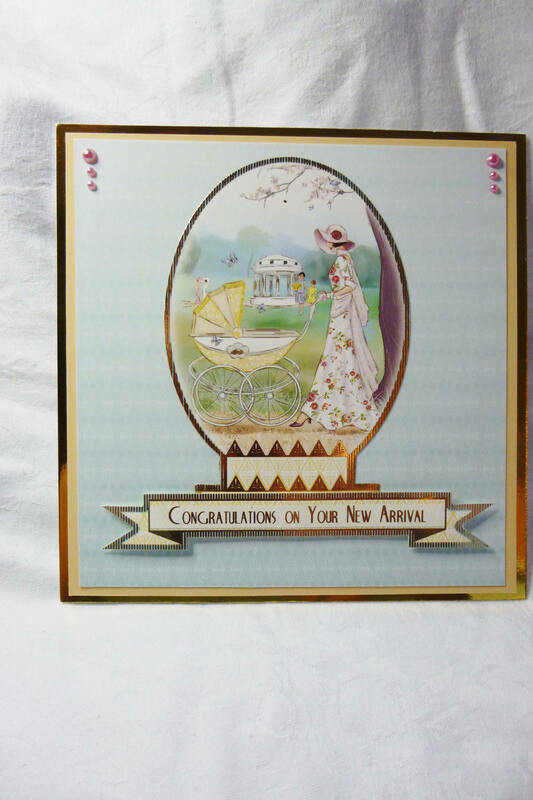 Art Deco new arrival baby card, Made from white base card layered wit gold card, cream card and patterned card. 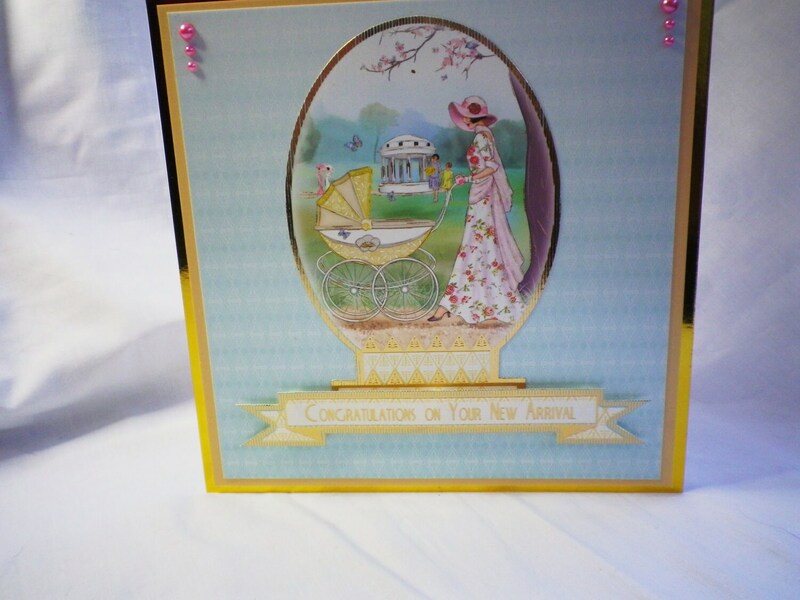 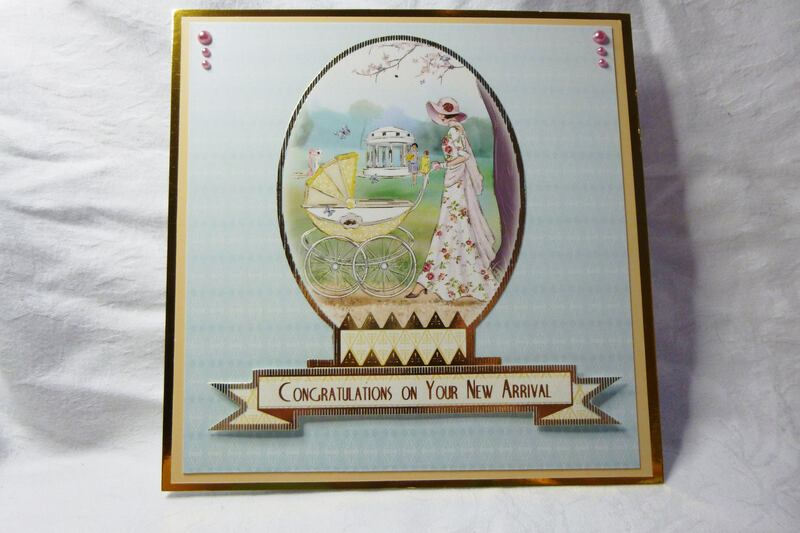 In the centre is a large oval topper of a lady out for stroll wit her new baby in the park, at the bottom of the card is a sentiment which says, 'Congratulations On Your New Arrival'. 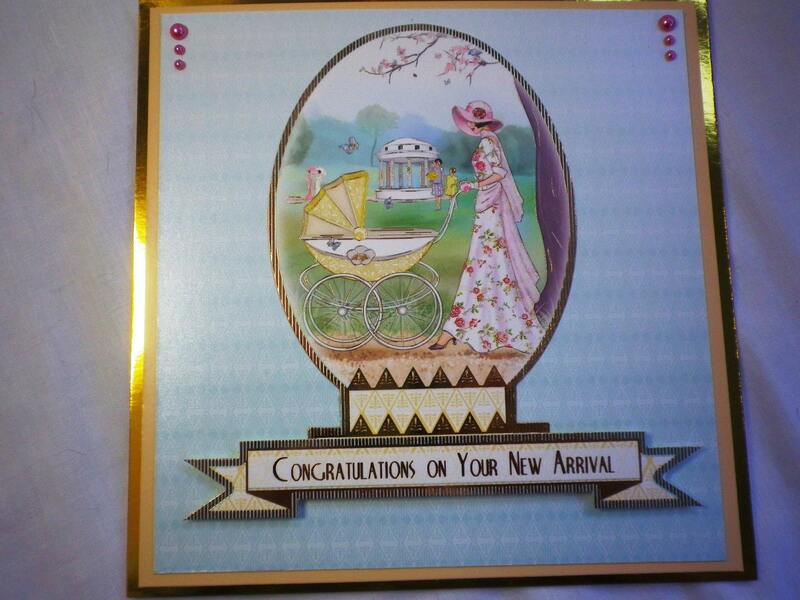 In the two top corners of the card are 3 pink pearl embellishments. 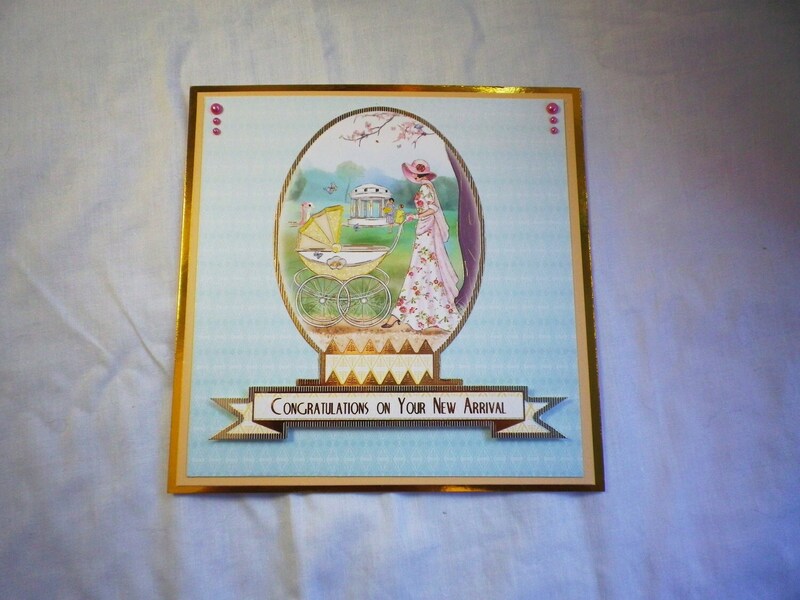 Inside the card is white insert paper which has been left blank for you to write your own very personal message.